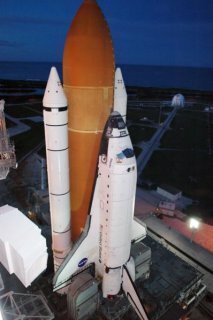 According to Channel News Asia Singapore, the space shuttle Atlantis has safely returned back to earth. Did they ever figure out what that foreign object that was floating around the shuttle was? Something to do with those blasted heat tiles again? Seriously what has those heat tile re-entry blocks ever done for anyone? Don't answer that. NASA really needs to replace these contraptions. Personally I'd be more interested in seeing a collaboration between the ESA, NASA, JAXA, the Russians and the Chinese to reflect the borderless nature of space, but fat chance! Newer post ← Chuck Norris Facts!